Over To You: What's The Most Unusual DJ Gig You've Done? Over To You: What’s The Most Unusual DJ Gig You’ve Done? Ever DJed on a boat... in the middle of a desert? In today's post, we'd like to know what your most unusual DJ gig is so far. 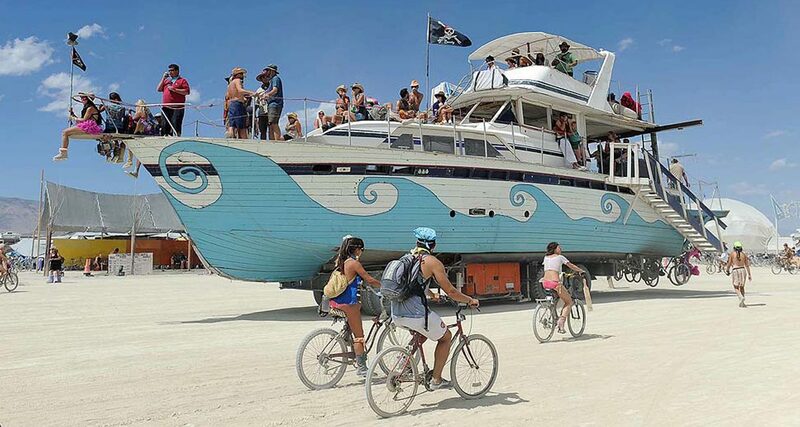 Ever DJed on a boat… in the middle of a desert? In today’s post, we’d like to know what your most unusual DJ gig has been so far. Today’s question comes from an avid Digital DJ Tips reader… me! 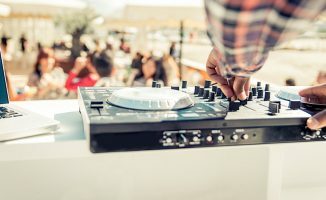 I’m curious: What has been your most unusual DJ gig so far? I’m going to kick things off with mine: A few years back, I was booked to spin a birthday party at a swanky venue. A relative of the client hired me, having seen me perform at festivals prior. I was promised that there would be a full light and sound set-up, an LED wall, and unlimited booze and champagne – images of all-night debauchery and profuse fist-pumping filled my head. I prepared all my favourite chart bangers and EDM hits (Avicii’s Levels, Swedish House Mafia, and LMFAO were at the top of the charts then), picked out a nice suit (part of the requirements was that I look sharp) and really looked forward to throwing a “rager”. The host of this nonagenarian’s birthday bash saw me come in, and promptly announced “Ladies and gentlemen, your DJ has arrived. Let’s get ready to ruuuumba!” and almost immediately, guests started heading to the booth and getting into position, ready for some serious line dancing. So there I was, ready to throw down EDM bangers, but guests wanted me to drop music for rumba, foxtrot, and tango! I broke into a cold sweat, but then remembered that I had a long-forgotten folder in my hard drive filled with music from the middle of the 20th century, plus the venue had a solid internet connection, so I went online and purchased tracks on the spot (phew!). Thankfully, these did the trick, and I even was able to squeeze in some house and disco tracks during the “swing” portion of their line dancing. I’ve got to say that it’s the most unusual gig I’ve done to date – seeing elderly men and women grooving to “Get Lucky” by Daft Punk was kind of cool. It turned into a total “rager” in itself, but of course not what I had initially thought. Moral of the story – whenever you get booked to do a birthday party, find out what music the audience wants to hear… not what music the person who booked you would like! So, over to you: What’s the most unusual DJ gig you’ve done so far? How did it go, and how did you get it? What was your biggest takeaway from that gig? Share your thoughts with us below. That’s a mental tale, enjoyed that one, thanks! 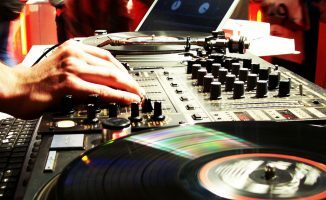 Great story – in my opinion, “#RealDJing” is all about making do with that you’ve got and making the party happen regardless of what’s going on behind (and often, in front of) the booth! New Year’s Eve. In a tent. Outside windchill was 10° below zero Fahrenheit . Tent heated up to about 45° Fahrenheit when 600 people were inside of it. Well I guess you had a captive audience, Ron! Haven’t even done it yet. Happens next week….. Kindergarten Prom????? This will be interesting. Playing Kidz Bop???? I once DJ’d a 6 year old’s Disco themed birthday party. A mobile DJ in a yoghurt vending van at festivals would have been a fairly odd gig I guess… application deadline soon! I also did a crazy gig at Burning Man, I filled in after Diplo and Alok as Steve Duda was late! 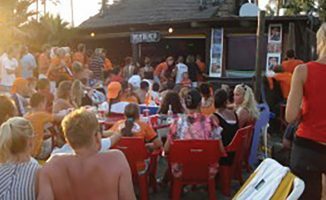 Not mine, but I talked to a fellow Dutch DJ a couple of years ago who had a residency at a swingers club. Well paid too I might add.